Home Procurement News How can 3D printing improve the health care supply chain? How can 3D printing improve the health care supply chain? Patient care is of the utmost importance to doctors and nurses. Both health care providers and researchers are constantly looking for ways to improve the existing system so people receive the attention and treatments they need in an efficient and timely manner. With technology always improving, it offers physicians the means to advance patient care without costing too much money or wasting time. Printers with 3-D capabilities may be the newest gadgets to contribute to the success of the health care sector. Medications are required for many types of injuries and health conditions. However, the process for a new drug to hit the market is lengthy. According to MedicineNet, it can take up to 12 years for a medication to travel from one end of the supply chain to the other. Preclinical testing may require three to four years and actual trials could take six years. Applications to the U.S. Food and Drug Administration could call for nearly three years. This doesn't include the manufacturing of the medication to ensure there's plenty for the population. Medications require extensive research and testing to make sure they're ready for consumption. However, this timeline may face some cuts to improve its efficiency. With 3-D printing, less time could be needed to get medications through all the steps. In fact, one 3-D printed-drug was recently approved by the FDA, Forbes magazine contributor Robert Szczerba reported. The epilepsy medication, SPRITAM, was made by printing layers of the powdered drug. This method reportedly allows the pill to dissolve faster, making them easy to take, as opposed to current medications, which require patients to swallow large pills. Operations are often necessary, but expensive, procedures. According to Jennifer Taylor of Visiongain​, writing for InformationWeek, surgeries can cost $100 per minute, which means longer operations add up. Doctors can use 3-D printing to cut costs and reduce the risks associated with undergoing surgery. With this technology, health care providers are able to customize organs, which lowers the chances of patients' bodies rejecting implants and creates a less expensive and quicker option. No longer will people have to wait for an organ donation. Doctors will be able to 3-D print one to fit their needs. Marius Kalytis, CEO of CGTrader, told InformationWeek that these implants are made with a "fenestrate surface" that will encourage tissue growth. This will allow health care providers to perform a variety of operations, from implants to skin grafts. These will be made to fit the patient's needs. With 3-D printing, doctors can create whatever treatment they require to improve patient care. Surgery and pharmaceuticals both need experienced employees before they can make any real changes to patient care. However, by implementing 3-D printing into medical school, they'll receive the knowledgeable workers they require. Education facilities can print 3-D models for students to study and experiment on instead of putting patients in their inexperienced hands, Crain's Chicago Business explained. Doctors and residents will also be able to create 3-D replicas from diagnostic imaging tests to better diagnose the issue. "The overall direction is to make complex operations simpler," Bohdan Pomahac, a plastic surgeon at Brigham & Women's Hospital told the source. "This may be one of the most profound tools that we hope to use in the coming future." This technology can streamline the health care supply chain. The process can speed up medication approvals, improve medical education and make surgeries more cost-effective. People won't have to wait as long for their treatments. 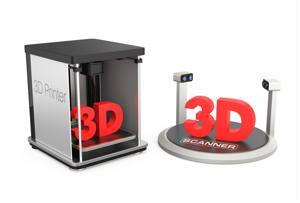 However, the price of 3-D printers may stand in the way of simplifying the supply chain. According to Crain's Chicago Business, these devices can cost anywhere between $40,000 and $1 million. If these prices decrease, health care may truly see a more efficient industry.